Want to modify your phone according to your own desire or want to get rid of the restrictions imposed by the manufacturer? Well, you finally have a gateway for iOS 10.3.3 – 10.3 because after a period of seven months this firmware has now a jailbreak for your device. 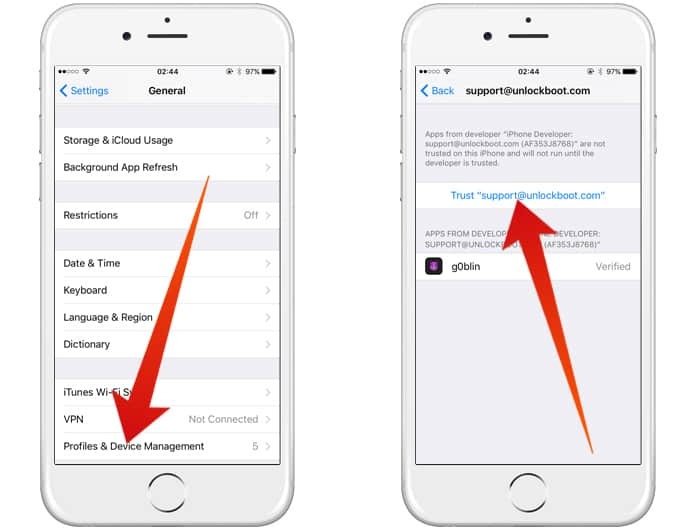 You can now easily access and download the G0blin jailbreak on your device whether it is iPhone, iPad or even an iPod. I am sure that the release of this jailbreak is no less than a good news for you and you would definitely want to know more about it which is why we are here to give you a little in-depth explanation of what G0blin is and how it works. 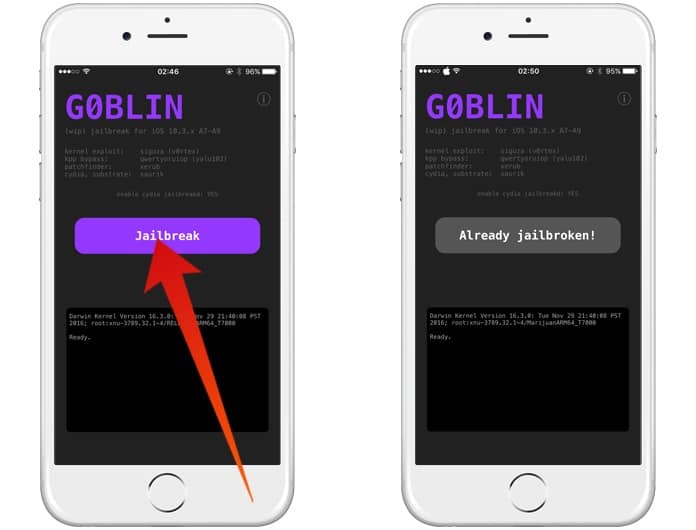 G0blin is basically a jailbreak which supports devices which have 64 chipsets, it is developed by the most famous developers Jake James and Sticktron and also it is specifically built for iOS 10.3.3-10.3. Now, this jailbreak definitely is a blessing for many but there yet are many devices that are not supported by this jailbreak and now we are going to provide you a list of the compatible and incompatible devices so that things can be easier for you. Note: iOS 10.3-10.3.3 only for all of the above. Above we have mentioned all the devices that are supported by the G0blin jailbreak and now we are going to put together a few incompatible ones too. People who have different iOS or devices that are not supported by this jailbreak should not be disappointed because there are a few offsets which are causing the incompatibility. However, there are high chances that support for those will be added soon and it will work for you too. You need to have a chipset of A7 or A9 or else your device won’t work with the jailbreak. However, iPhone 7 and iPhone 7 Plus users will be disappointed because yalu102’s KPP bypass is not for you guys. As iPhone 8 and iPhone 8 Plus come with iOS 11 that is why they are incompatible when it comes to the G0blin jailbreak. Availability of iOS 10.3.3-10.3 firmware. A computer with Linux, Windows or macOS. Now, for someone who has never jail-breaked his phone, the first question that might be coming in your mind is that how to actually jailbreak with g0blin and don’t worry because we’ve got that too covered for you. Here are a few simple and easy steps that can help you reach and jailbreak your 64-bit iPhone running iOS 10.3.3 – 10.3. 1. Simply connect your device with the computer and make sure that you have the Cydia Impactor tool downloaded in your computer already. 2. 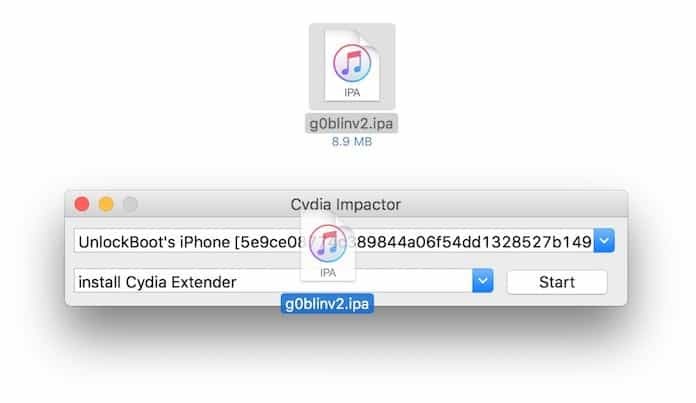 Download the G0blin jailbreak IPA version 3 and then drag the file to the already opened Cydia Impactor’s window in order to start the process. 3. 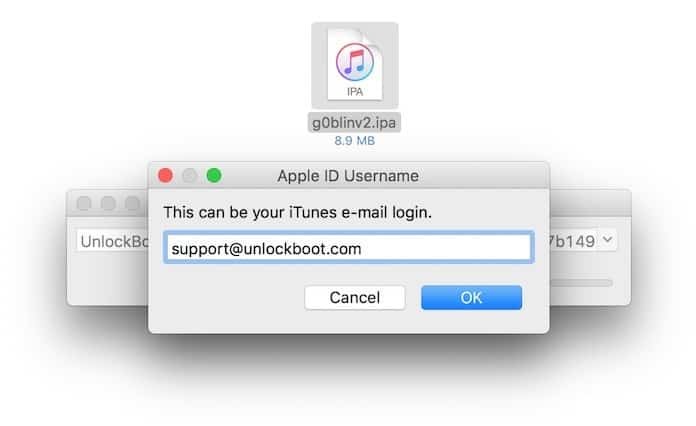 Enter your Apple ID and passwords and then let the app install. 4. Once the application is installed, it will appear on your home screen, after this just disconnect your iOS device from the computer. 5. Open the application and verify its certificate first or else it will give you an error sign. 6. After the verification a “run” sign will appear on your screen; you just have to click it. 7. Give it some time and let it inject the data into your device. After it is done, it will show a sign saying “jailbroken” and you can now easily access Cydia from your device. This is it for today, stay connected and keep reading because UnlockBoot consistently covers the latest in jailbreaking.